Here we go again. Another aviation tragedy and another National Transportation Safety Board recommendation that could have prevented the crash was not acted upon by the Federal Aviation Administration. This time a hot air balloon crashed Saturday in Texas killing sixteen people. Initial reports are that the balloon crashed into high intensity power lines. Reports are that the balloon, operated by a company named “Heart of Texas,” caught on fire and was found burning on the ground when first responders arrived. According to a CBS news story dated July 30, NTSB safety investigators warned two years ago that balloon accidents were imminent and recommended that the Federal Aviation Administration impose greater oversight on commercial hot air balloon operators, government documents show. The FAA rejected those recommendations. Just when we thought that we had a problem with drones, now Engineering and Technology Magazine reports that a German start-up is developing a personal electric plane that can take off and land vertically in a small area without the need for complex infrastructure. 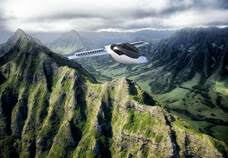 Lilium, the firm behind the concept, described the plane as combining the best from helicopters and fixed-wing aircraft, while avoiding their respective drawbacks. It lands and takes off from almost anywhere like a helicopter, but is quieter and more manoeuvrable, eschewing the need for long runways required by current fixed-wing aircraft. Criminalization of Aviation: Does It Enhance Safety? Safety is never an issue – until there is an “issue” is an element of business that has been imprinted in my life from early years. At my elementary school, teachers would parade the class through the “Crime-mobile”. My fellow students and I saw car accidents, gunshot wounds, amputations and overall some considerably macabre images. Of course, all of this left a lasting impression. From that time forward I have been intrigued to learn how these “bad” things continue to occur and ideally how they can be prevented. Ten Extra Knots and 100 Extra Feet — Always a good thing?